A convincing approach to answer the question: "What should I do with my life?" This famous quote is nowhere near reality for more than two thirds of workers today. 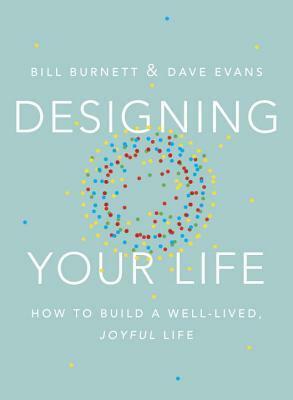 In this book, Bill Burnett, executive director of Stanford’s design program, and Dave Evans, who led the design of Apple’s first mouse and co-founded Electronic Arts, apply Design Thinking ideas to build the more important product, our life. As life is full of twists and turns, life design should be an iterative process of prototypes and experimentation. Using simple mind-sets - curiosity, bias to action, reframing, awareness, and radical collaboration - you can create a life you love. And as work is where we spend the most of our lives, the book’s focus is mainly on jobs and careers. If greatest books are the one we recommend the most, Desiging Your Life definitely deserves a place among them. What I like the most is that the authors are really good at reframing dysfunctional beliefs such as “I have to find my calling before college” or “I should follow my passion”. The style is particularly engaging, using the right balance between solid research and short, illustrative testimonials. Authors never use expression like “You should”, but instead, provides you counsels to help you find answers. The course, on which the book is based, was ranked among the most popular course at Standard, and after reading the book, it comes as no surprise to me. You cannot teach such a course if you have not a profound commitment about helping others. It’s a very personal book whose audience is so wide. As the authors highlights, it is never too late. We live many lives in our single life. You could read this book to improve a life that’s already pretty okay, or to start a significant transition.